Superb Fairywrens in love! 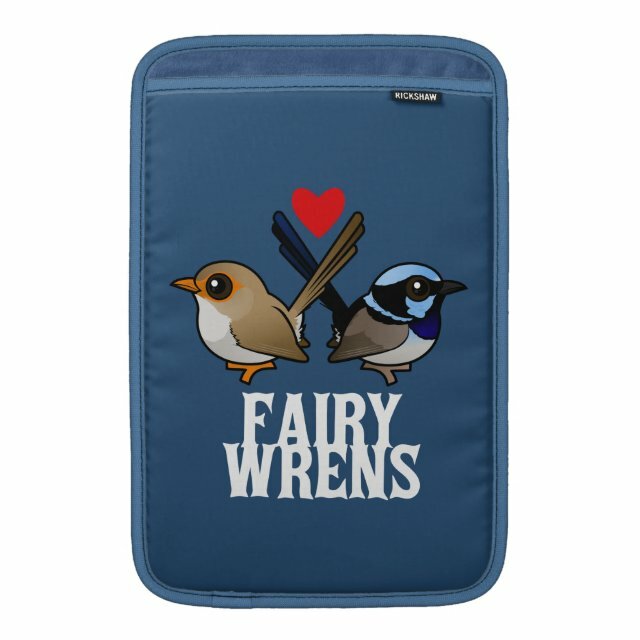 This design features cute cartoon versions of the breeding male and female fairywren standing back-to-back, their tails overlapping. You can customize this gift! Move the design around, change the background color or style, add text or images -- make it your own! A slim line sleeve with super protection – meet the Rickshaw MacBook Air sleeve. Made with water resistant fabrics and an ultra-plush padded liner, this sleeve delivers protection while beautifully displaying your artwork and text. more... Made in San Francisco, CA with a focus on environmentally sustainable production, the Rickshaw MacBook Air sleeve is a simple, stylish, and sustainable solution for protecting your MacBook. Sized for MacBook Air 11" (13.2"W x 9.6"H x .5" D) or MacBook Air 13" (14"W x 10.6"H x .5" D).